In 1835 Heinrich Engelhard Steinweg later known as Steinway (founder of Steinway & Sons, NY) built the world's very first Steinweg piano factory. Fifteen years later in 1850, H.E. Steinweg took most of his large family to New York City, leaving the piano factory to his eldest son, C.F. 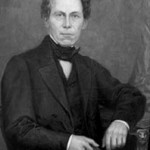 Theodor Steinweg, who stayed behind to run it under his own name. 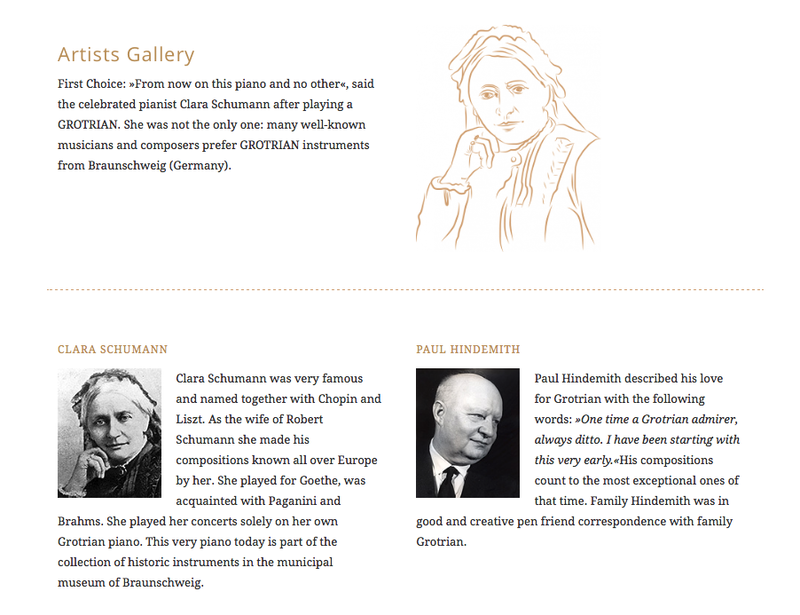 Six years later Friedrich Grotrian became his partner. Grotrian-Steinweg pianos were praised universally and were the choice of judges at the World's Columbian Exposition in Chicago. Grotrian-Steinweg operated an orchestra and a concert hall, and established sales rooms in a half dozen major cities in Germany, and by 1920, in London as well. At its peak in the late 1920s, Grotrian-Steinweg employed 1,000 people and made 3,000 pianos per year. 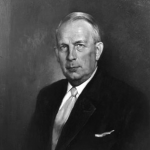 Economic depression in the 1930s and war in the 1940s caused Grotrian-Steinweg to decline severely. The family did however rebuild the factory and re-establish their reputation for top quality work. In the 1950s an annual piano-playing competition was founded by the company in an effort to identify promising piano students. Then in the mid-1960s Grotrian-Steinweg expanded into the United States. 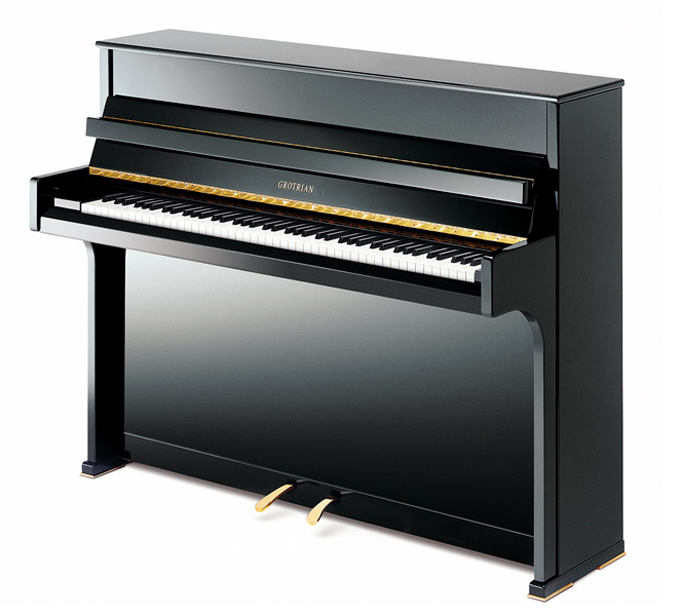 During the 1970′s, the American based Steinway & Sons Piano Makers sued Grotrian-Steinweg to keep them from importing pianos using their international trademark (Grotrian-Steinweg) into the USA. They succeeded in getting an American judge to agree with them that somehow smart high level Grotrian-Steinweg buyers would have brand confusion and believe Grotrian-Steinweg was still associated with Steinway or vice versus. That is why the name for the USA and Canada is Grotrian. Until the advent of the internet this history was easily obscured. 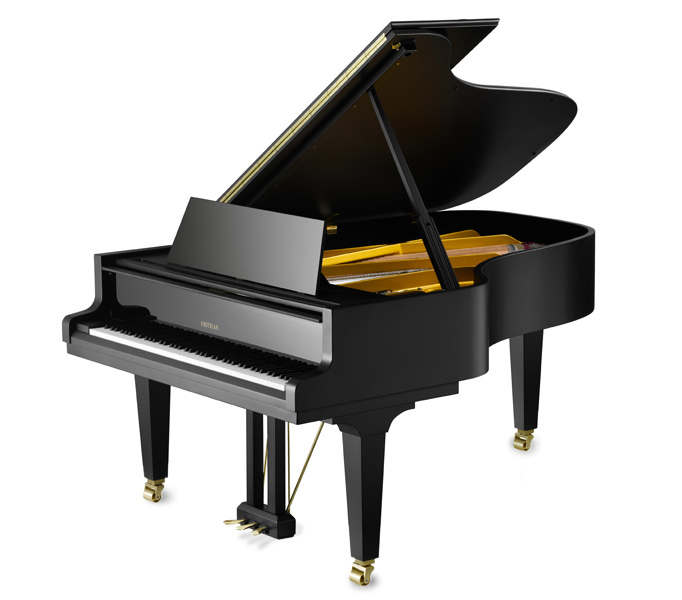 In our opinion we feel that lawsuit was a blatant bullying tactic by the Steinway company to keep a worthy competitor at bay. In 1974, the Grotrian-Steinweg family built a new factory in northwest Braunschweig on Grotrian-Steinweg Street. 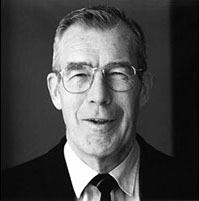 After Helmut and Erwin Grotrian-Steinweg supervised the construction they retired, leaving Helmut's son Knut in charge. This facto ry is the current location of Grotrian-Steinweg headquarters and production. Each piano they make is an individually crafted work of art with annual production of only 500 upright pianos in six sizes and 100 grand pianos in five sizes. 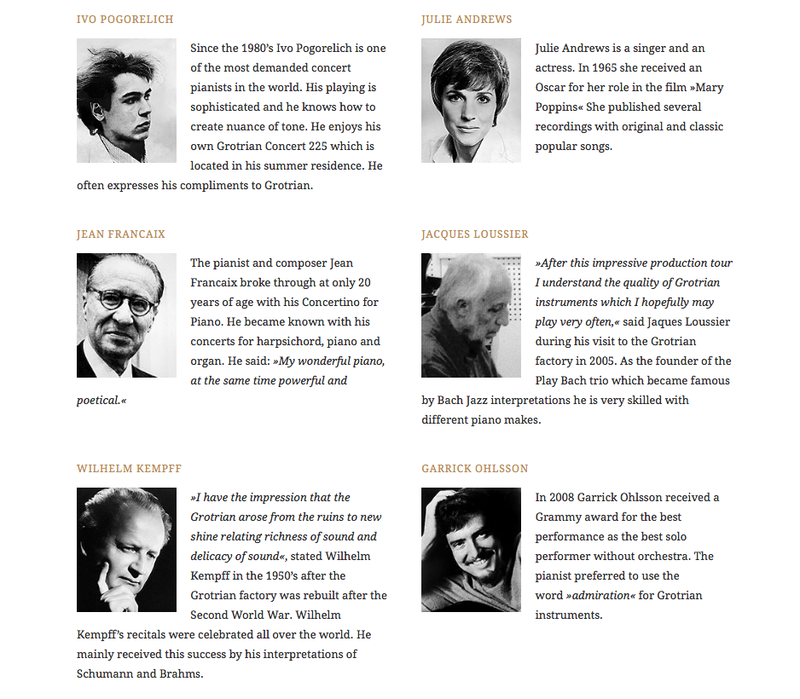 Some 20 concert grands are made per year—each one requiring 8 months of manufacture and a waiting list to get one with most pre-sold to Russian Music Conservatories. 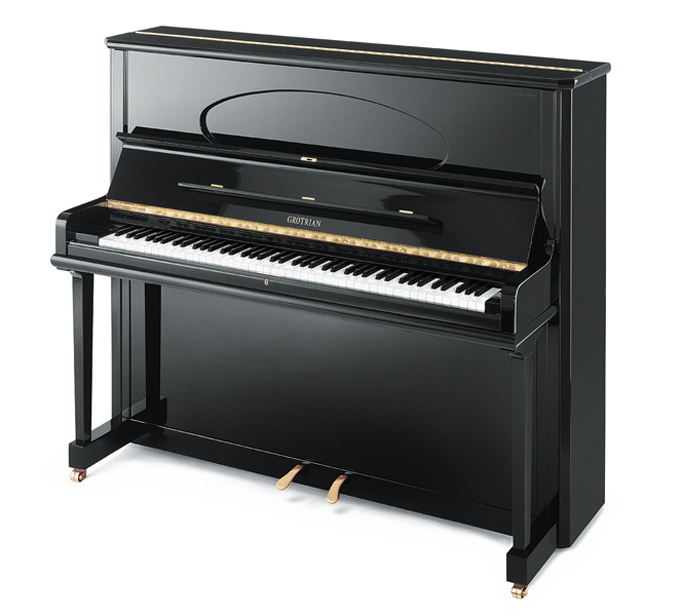 Modern Grotrian-Steinweg pianos were said by Larry Fine in the pianobuyer.com to have the following characteristics: "The treble of Grotrian pianos has extraordinary sustaining characteristics. It also has a pronounced sound of attack, subtle and delicate. The tenor is darker than many other brands. The bass can be powerful, but without stridency. 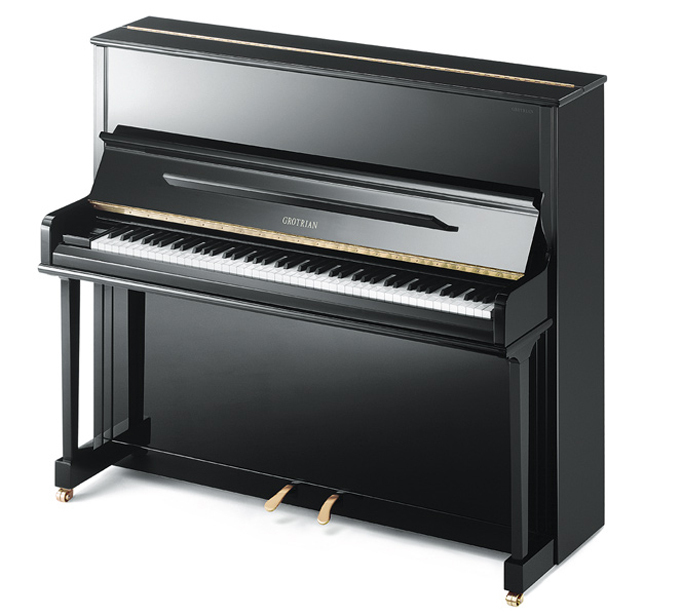 Overall, Grotrian pianos have a unique, expressive sound and are a pleasure to play. 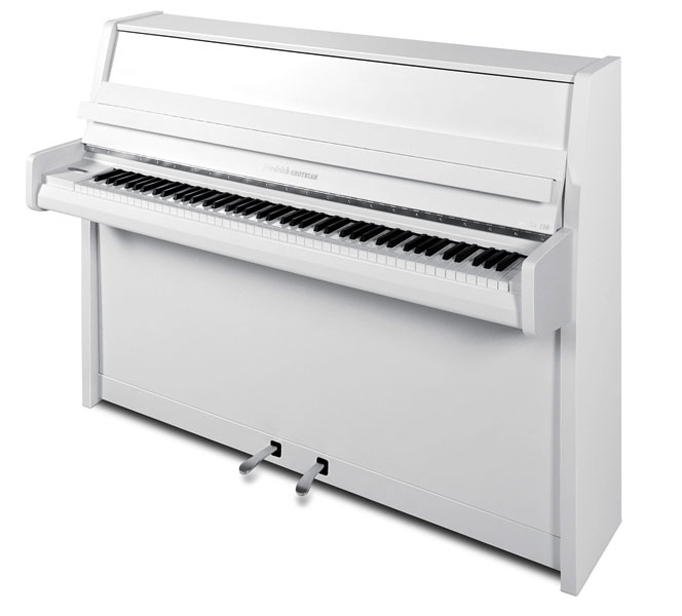 Over the years, many European royal families have appointed Grotrian to supply pianos to the court, and many well-known pianists have endorsed or expressed appreciation for Grotrian pianos." 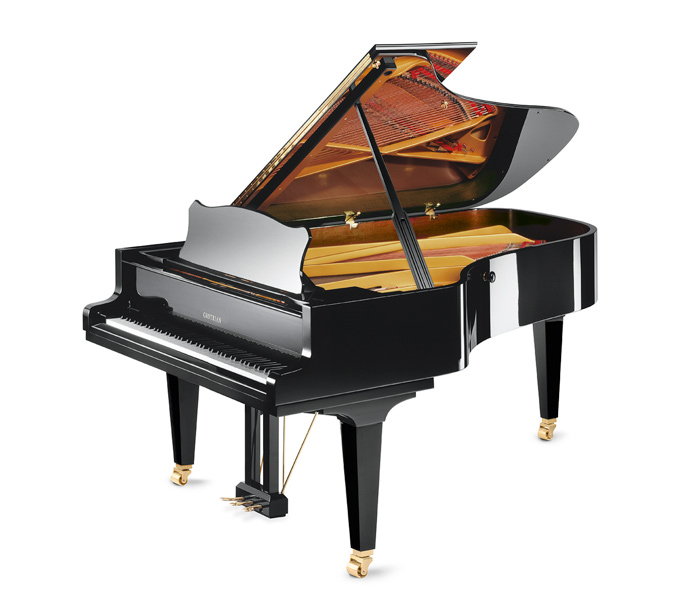 Hollywood Piano is proud to be the exclusive representative of Grotrian pianos in Los Angeles, Southern California, Arizona and Southern Nevada. 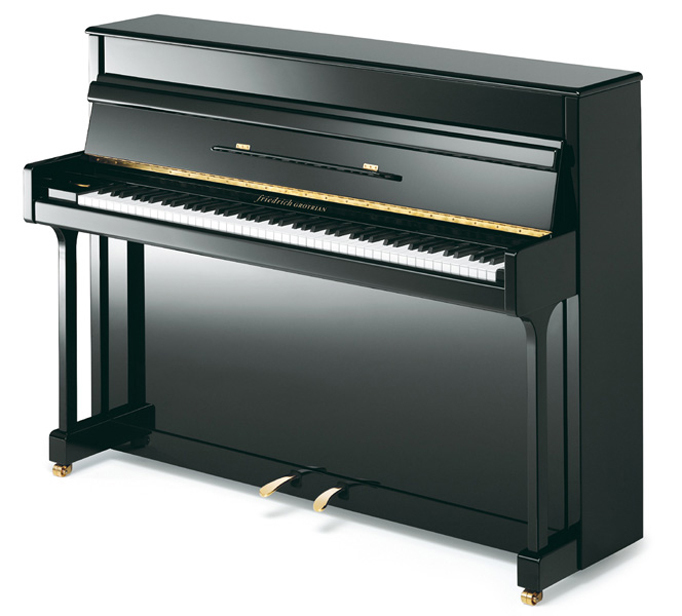 Our goal at Hollywood Piano is to seek out the highest value piano brands in the world at each level. 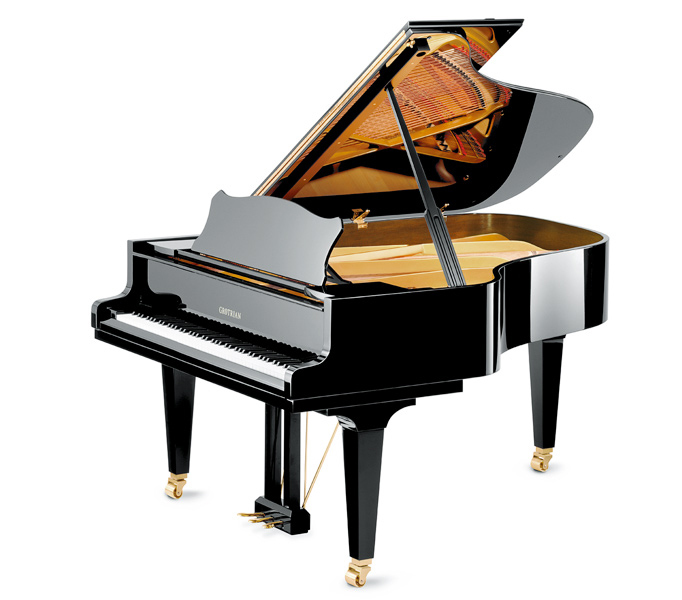 This is why we chose to represent Grotrian pianos at the prestige luxury level. 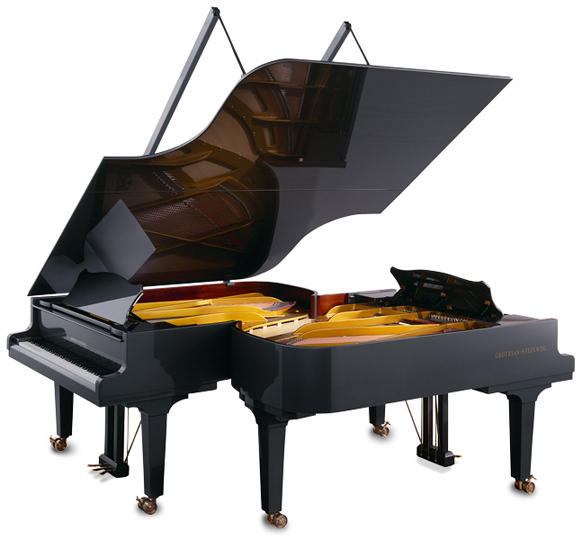 Grotrian-Steinweg makes top tier luxury pianos. - When you think of luxury products you may think of Rolls-Royce, Louis Vuitton, Tiffany and others. 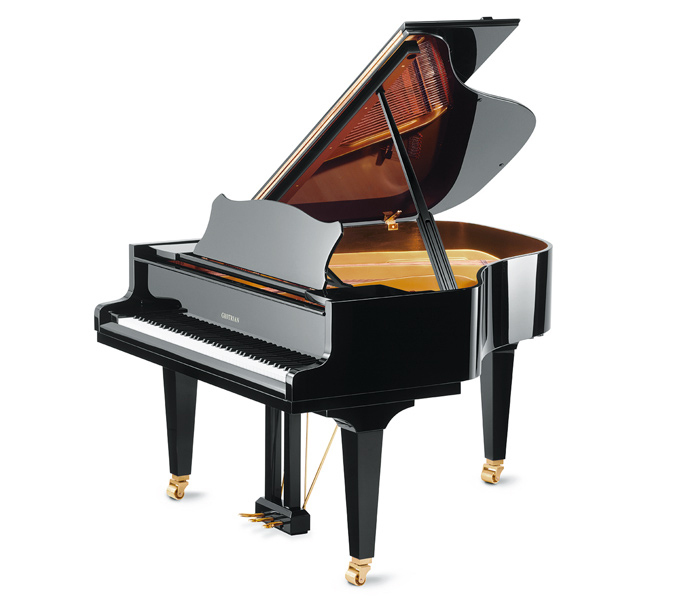 Grotrian represents that level of luxury in pianos. 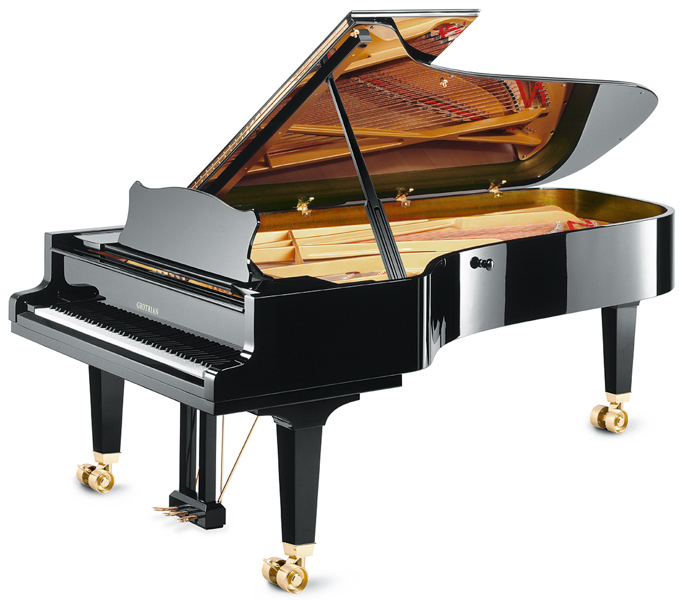 Grotrian brand pianos have been certified as 100% made in Germany and arrive with certificate to verify this. 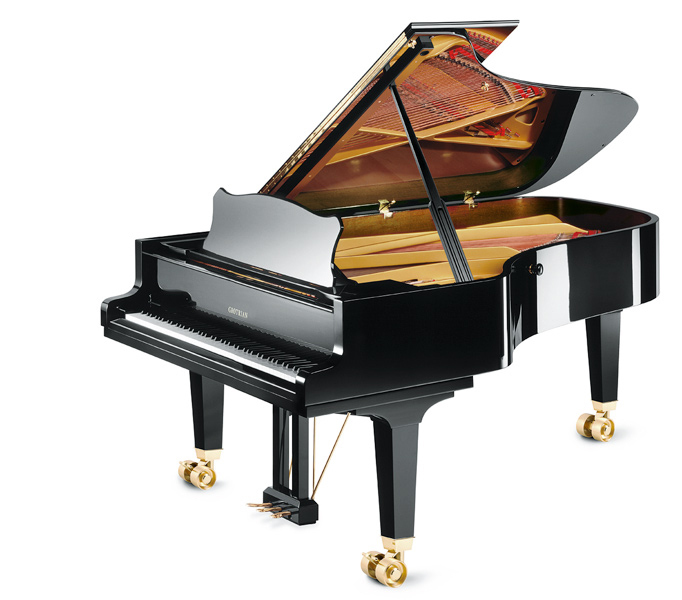 Grotrian-Steinweg pianos represent the highest value among luxury piano brands. With the current favorable Dollar to Euro exchange rate the prices of Grotrian-Steinweg pianos are often landing in the USA at a retail price near the cost of, and sometimes less than the cost of an American Steinway piano. 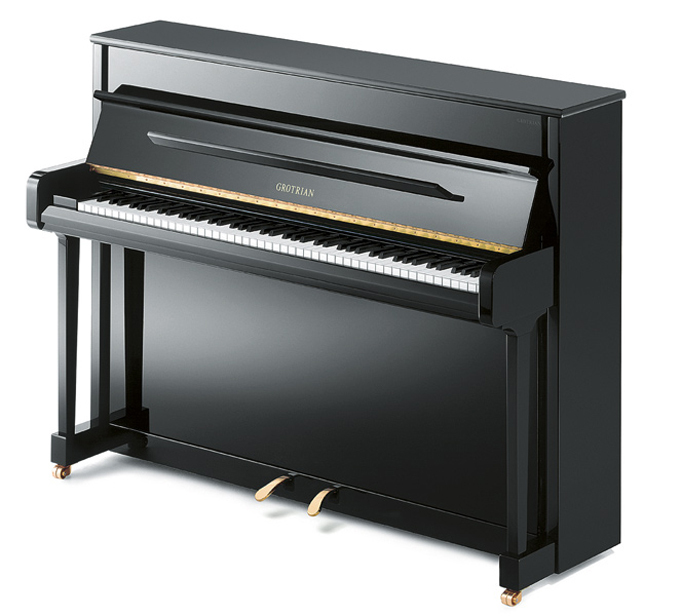 Imagine getting a prestige product hand built in Germany for less than the similar sized piano made in the USA. 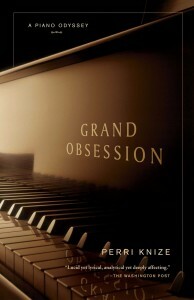 Grotrian Pianos posses unparalleled piano touch and piano tone. 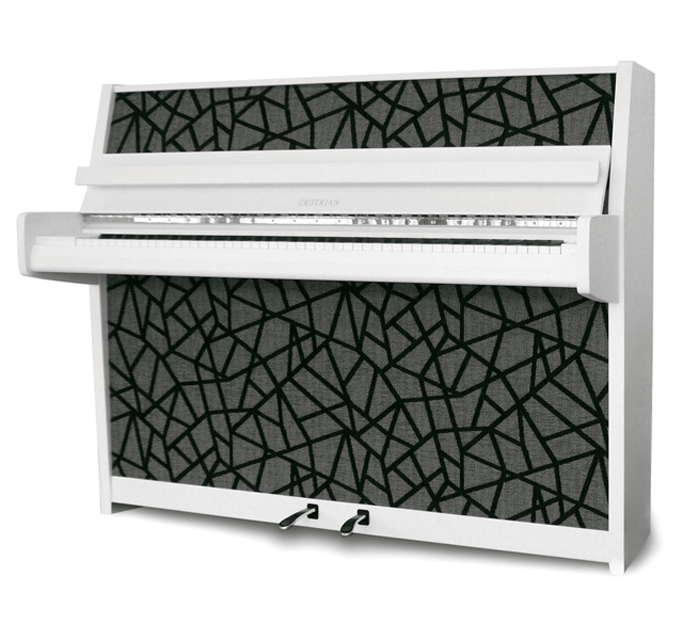 In the end it's all about piano sound, touch and how it performs. 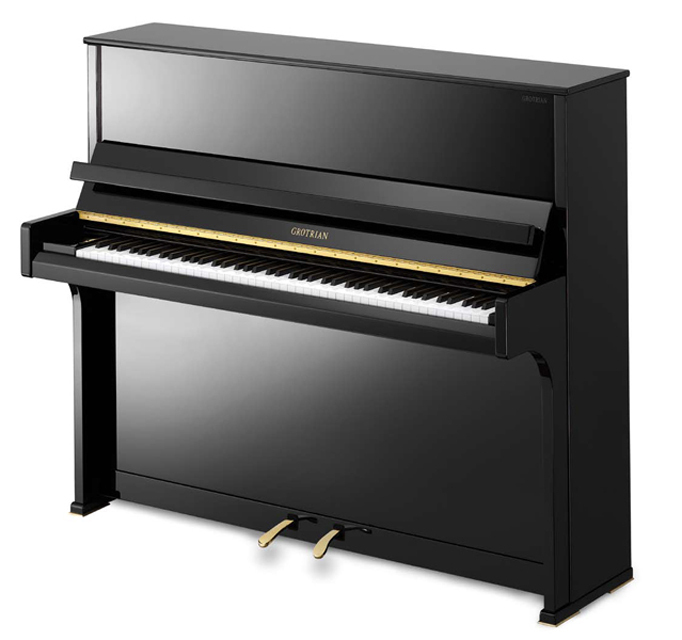 For the pianist looking for the ultimate piano playing experience, treat yourself to an audition of a new Grotrian Grand or upright piano.